Mayor Antonio Villaraigosa was spotted at Larchmont bookstore Chevalier's with KTLA-TV Channel 5 anchor/reporter Lu Parker (Photo: David Reese). It looks like Los Angeles Mayor Antonio Villaraigosa is back on the dating scene, with someone who also appears in the news quite a bit. 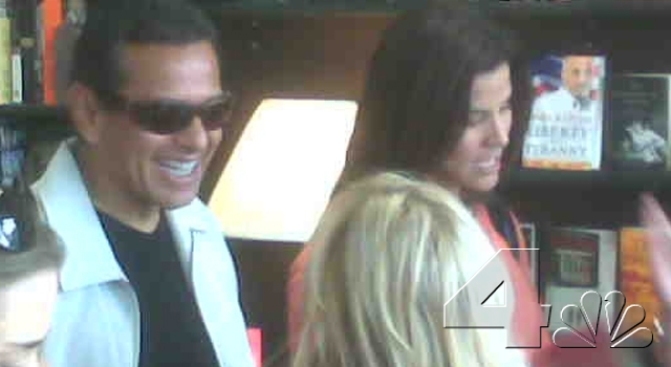 He was spotted Sunday at Larchmont bookstore Chevalier's with KTLA-TV Channel 5 anchor/reporter Lu Parker. In an interview with the LA Times, general manager of KTLA-TV Don Corsini said, "There is no concern as to the ethics whatsoever. As far as I’m concerned, it’s a personal matter." KTLA news director Jason Ball told the Times that Parker will no longer be covering politics but that he has complete confidence in her. The mayor and a TV reporter are spotted together at a bookstore. Witnesses say they did not hold hands or kiss, but appeared very chummy. Parker was seen touching the mayor's chest and stomach while they spoke. She was also seen looking at a book about Kenya and overheard saying to Villaraigosa, "We should buy it for our trip." NBCLA called the mayor's office for comment. Spokesman Matt Szabo said, "I don't know anything about this. We will have to get back to you." Szabo later told The Times he would not comment on Villaraigosa's personal life. Should We Care Who the Mayor Dates? Political Analyst Sherry Bebitch Jeffe talks about the mayor's recent romance, and what it means politically. Szabo added the bookstore visit "was not on his official calendar." Perhaps that explains why the mayor was not accompanied by his usual police detail. We checked out Parker's web site -- yes she has her own. According to the journalist/actress/author/former Miss USA/former teacher, she has interviewed dozens of celebrities and newsmakers, including the mayor. In fact, under the "Journalist" section of the site, Parker proudly displays a picture of herself in mid-interview with Villaraigosa. Hmm. Sound familiar? Flashback to the summer of 2007. 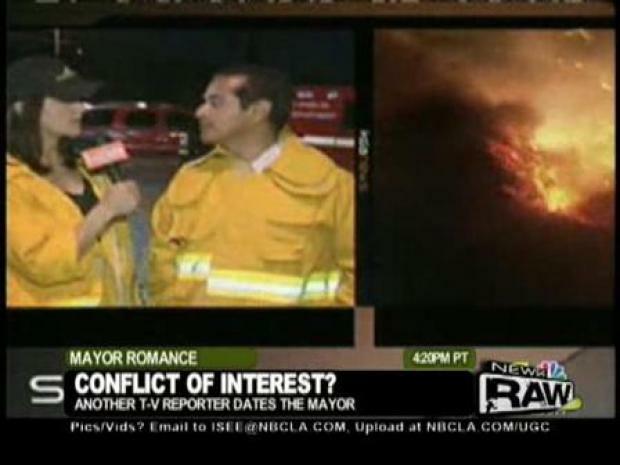 Scandal rocks Los Angeles City Hall and KVEA-TV Channel 52 -- the mayor is having an affair with anchor/reporter Mirthala Salinas. But, he was married then. The mayor's single now. According to her bio on KTLA's website, Parker's "an avid golfer." Maybe they'll next be spotted on the links.